“War wasn’t beautiful at all. It was the ugliest thing I had ever seen and it made me do the ugliest thing I had ever done. The real story of war wasn’t about the firing and the fighting, some Boy’s Own adventure of goodies and baddies. It wasn’t about sitting around in bars making up songs about the mujaheddin we called ‘The Gucci Muj’ with their designer camouflage and pens made from AK47 bullets. 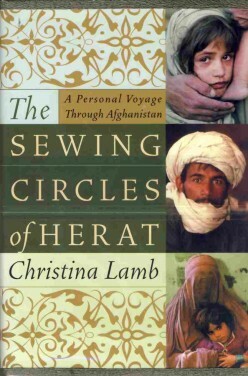 It was about the people, the Naems and Lelas, the sons and daughters, the mothers and fathers.” – from Christina Lamb’s The Sewing Circles of Herat (HarperCollins, 2002). 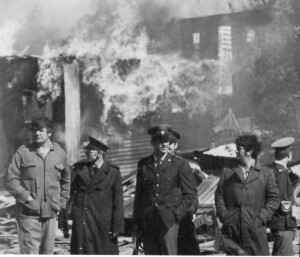 The Sewing Circles of Herat is about the human cost of the “great game” that has been played in and about Afghanistan by the three major powers of imperial Britain, Soviet Russia and the United States, each of them playing the game by the rules of their own particular perceptions of realpolitik , their own interests in the stony and impoverished land made, according to Pashtun legend, from a pile of rocks left over when Allah had finished making the rest of the world. 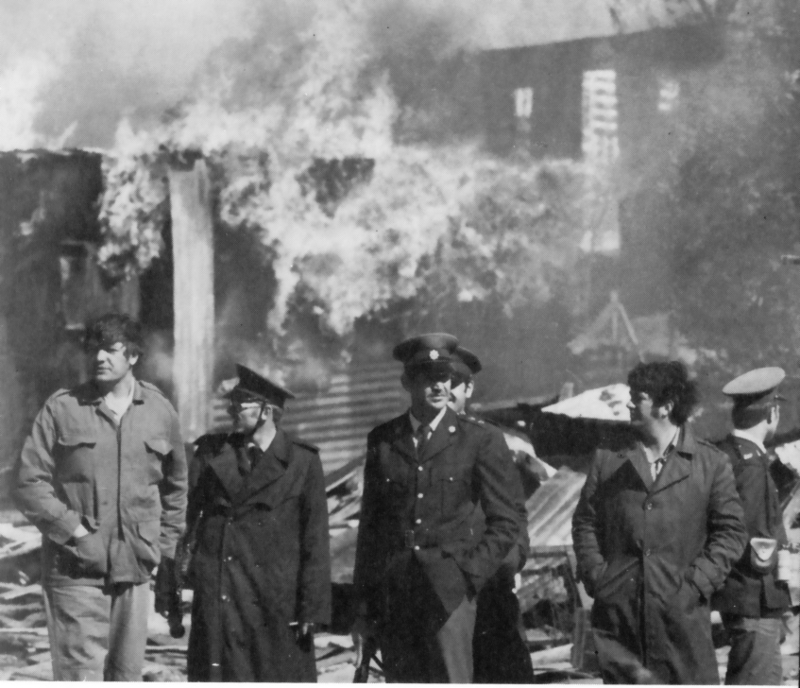 Lamb’s book, quite different from David Loyn’s Butcher and Bolt , is the story of a foreign correspondent’s personal experiences in the roiling cauldron of violence that has been Afghanistan for the past 30 years, since the December 1979 invasion by the Soviet army, violence that has only increased in intensity since the horror of 9/11. 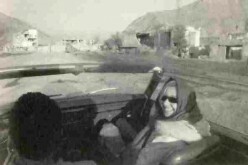 Christina Lamb re-entering Afghanistan in November 2001. Into this complex land Lamb came as a “gawky English girl”, a “graduate of philosophy at university and of adolescence in British suburbia”, to witness at first hand the struggle of the mujaheddin against the Soviet occupiers and then again, 12 years later, the effects of the “war on terror” that followed the 9/11 attacks in New York. 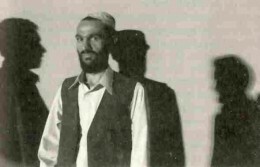 One of Lamb’s early encounters after the fall of the Taliban was with 30-year-old Mullah Khalil Ahmed Hassani, a business studies graduate from Peshawar University. He was forced to leave his job as an accountant for a trading company in Quetta to join the Taliban who had arrested Hassani’s 85-year-old grandfather in Kandahar and would only release him if a male member of the family joined up. 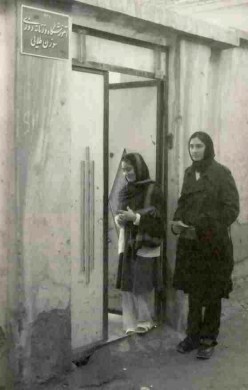 Hassani was drafted into the secret police and at first patrolled the streets looking for anyone disobeying the many intricate and often absurd regulations such as: women not allowed to buy from male shopkeepers; any woman showing her ankles to be whipped; a ban on shoes with heels or that make any noise as no stranger should hear a woman’s footsteps; a ban on cosmetics, meaning that any woman with painted nails should have her fingers cut off. A later assignment for the “Taliban torturer” was to guard some shipping containers full of Hazara women and children. 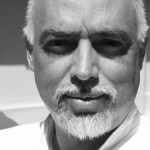 Hazaras had been declared, by the governor of Mazar-i-Sharif, Mullah Manon Niazi, non-Muslim “Kofr” and thus “legitimate” targets for the worst possible treatment. In the 40 plus degree Centigrade heat the 450 or so prisoners were kept in the containers without water, food, or toilet facilities, in what Hassani called “among the worst of many bad things” he and his men had been forced to do. “I can still hear the noise, the desperate banging on the metal and the muffled cries that gradually grew softer,” Hassani told Lamb. 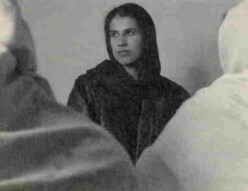 “…I hope this will help you outside understand the feelings of an educated Afghan female who must now live under a burqa.” – Marri’s first letter to Christina Lamb, dated 24 September 2001. Marri and Christina did not know each other when Marri first wrote to Christina. The process of learning about each other, the discovery of the humanity behind the rhetoric of Afghanistan symbolised by their search for each other, is the focus of this book, which makes it indeed as much Marri’s as Christina’s story. 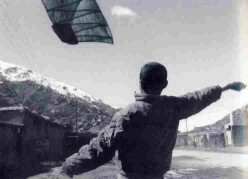 During the Eid holiday in 2001 Christina began to search for Marri in the crowded part of Kabul called Microrayon, having only Marri’s letters to guide her. The search lasted two months, two months of meeting and questioning many, many people, following false leads and getting discouraged. 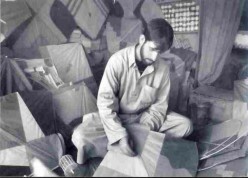 Izatullah, one of Kabul’s leading kite makers, was jailed by the Taliban and all his kites burned. It was only on the day before Christina was due to leave Afghanistan that she got word that her helper Tawfiq Massood had found Marri, not in Microrayon but on the other side of Kabul, where she and her family had fled to escape the noise and the bombs. Christina pointed out that Marri had taken a huge risk in writing and smuggling the letters out of Afghanistan, and asked why she had done it. 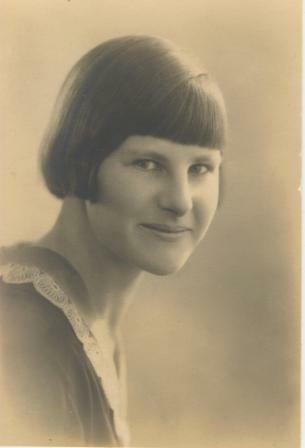 When they parted Marri gave Christina a parcel wrapped in a cloth – when Christina opened it she found it was Marri’s diary. The entrance to the “Golden Needle” sewing circle of Herat. 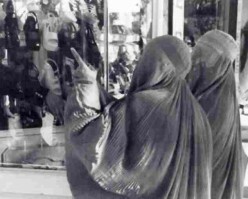 Women in Herat window-shopping for white shoes. One of the enduring themes of this book is the survival of human values, human activities, in spite of the dreadful effects of the inhumanity of war and religious fanaticism, ideology and economics. One symbol of that was the Sewing Circles of Herat, which give the book its title. Under the Taliban, literature, especially Western literature, was a forbidden subject, especially for women, who were not allowed education of any sort. 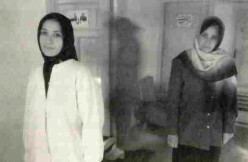 In an alley in Herat was a doorway with the sign: “Golden Needle, Ladies’ Sewing Classes, Mondays, Wednesdays, Saturdays”. This was the home of Mohammed Nasir Rahiyab, professor of literature at the Herat University, where he gave the women lessons on literary criticism, aesthetics and poetry, including western classics. All subjects forbidden by the Taliban, more especially to women. Why run this “Sewing Circle”? 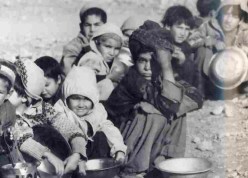 Refugee children in Maslakh camp, Herat, forced from their homes by the 23 years of war. Words of amazing optimism in a land in which, in a few years, one-and-a-half million people had been killed, and millions more horribly injured and displaced. And typical of the incredible power of the human spirit to endure and to choose life, if not to flourish, even in the most unconducive conditions. 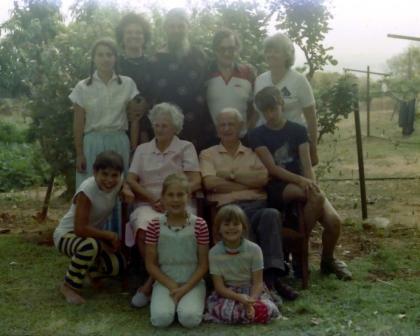 The text on this page, unless otherwise indicated, is by Tony McGregor. The illustrations are taken from the book The Sewing Circles of Herat by Christina Lamb (HarperCollins, 2002) and are copyright by the author. Should you wish to use any of the text feel free to do so with proper attribution and, if possible, a link back to this page. Thank you. “The beginning of something too new to invite easy description” – that’s how jazz critic Rob Mariani recalls pianist Bill Evans’ debut at New York’s Village Vanguard in the early 1960s. He might have been describing Evans’1959 album, A Portrait in Jazz, recorded almost at the end of jazz’s most amazing year, a year which saw the recording of many albums which have become “classics” of jazz. 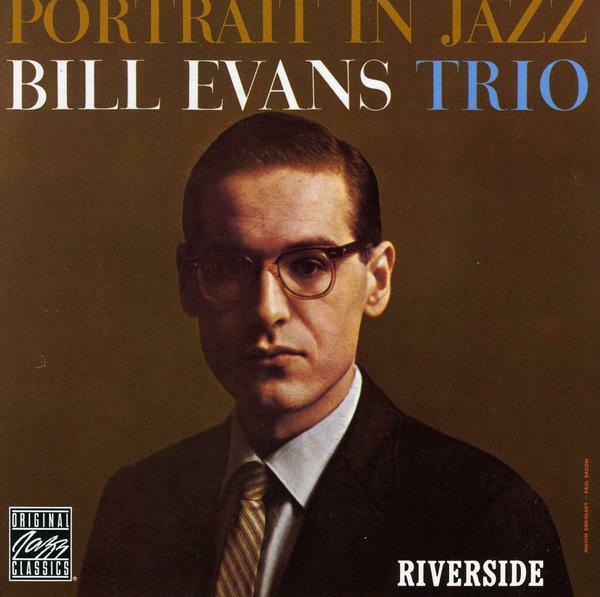 Evans went into a studio on 28 December 1959 under the direction of producer Orrin Keepnews, with young bassist Scott LaFaro and drummer Paul Motian to lay down 11 tracks of a new way for a jazz piano trio to play and sound. Evans himself was an almost painfully shy young man of 30 who was battling some internal demons, partly the result of being the only white musician in the Miles Davis sextet, which in fact he had left to follow his own dreams just more than a year before. Earlier in 1959 Davis had hired Evans to return to the sextet just to record that other classic 1959 album Kind of Blue. Scott LaFaro, a young musician born in Newark, New Jersey, was only 23 at the time of Portrait in Jazz,and was already making a name for himself, having played with Chet Baker, Buddy De Franco, Sonny Rollins, Harold Land and Hampton Hawes. Earlier in 1959 he also played with Thelonius Monk, and would go on in 1960 to join Ornette Coleman in the ground-breaking double quartet album Free Jazz with Charlie Haden on the other bass. Paul Motian, then a 28-year-old drummer from Providence, Rhode Island, is a drummer of great sensitivity with a very distinctive style, who nevertheless was capable of providing superb backing to a wide range of musicians besides Evans: he played with Charlie Haden’s Liberation Music Orchestra, with Oscar Pettiford, Lennie Tristano and Zoot Sims, and even recorded with Arlo Guthrie. Rusyn people are an eastern Slavic ethnic group who have always been overshadowed by the other people with whom they shared living space, the Poles, the Russians and the Slovaks. 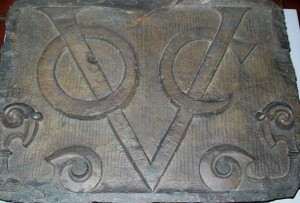 The Welsh are Celts with their own history of struggling for identity. Another famous person with a Rusyn background is artist Andy Warhol (Warhola), born just a year before Evans, in Pittsburgh PA. The tracks the trio laid down in the studio that day were all standards except for two compositions by Evans, namely “Peri’s Scope” and the song attributed also to Davis, “Blue in Green”, which the Davis sextet had recorded earlier in the year on the album Kind of Blue. 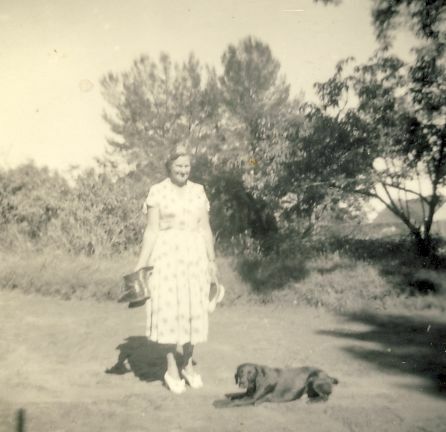 The first track on the album is Harold Arlen tune “Come Rain or Come Shine”, the Johnny Mercer lyrics of which were sung so wonderfully by Billie Holiday. It was written for the show St Louis Woman and was published and recorded several times in 1946, and in the years following. In this trio’s hands it is a beautifully thoughtful ballad in which the playing of LaFaro takes the tune to new heights. 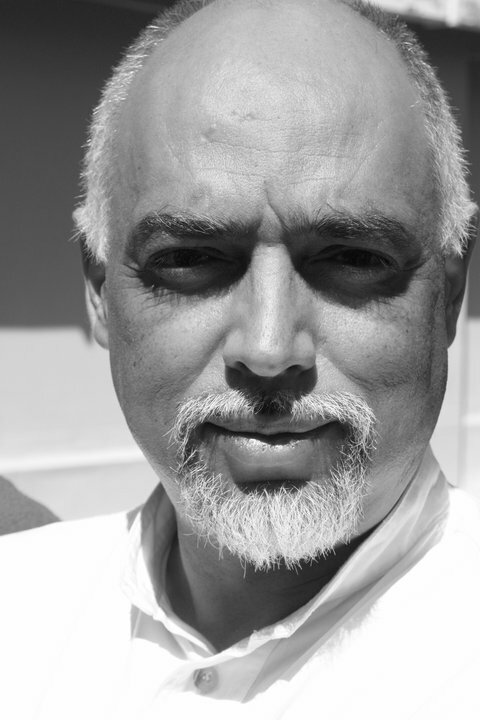 The whole track feels indeed “High as a mountain and deep as a river” with delicate harmonies from both the piano and the bass, underscored by the beautiful brushwork of Motian who keeps the whole thing moving gently along. The second (in stereo) and third (mono) tracks feature the ever-green (to coin a phrase!) “Autumn Leaves” written, originally as “Les feuilles mortes” by Joseph Kosma in 1945, to which Johnny Mercer added English lyrics in 1947. The interplay between piano and bass in the opening few bars is delicious beyond words. The trio play the song mid-tempo rather than the more usual slow pace, which helps it avoid the kind of mawkishness it sometimes achieves in certain hands. The way the three members of the trio interchange ideas all through the track is just exquisite. I am never sure who is leading whom, they all come across so strongly and with such conviction. A beautiful number indeed. Track 4 is the Cy Coleman song taken to great heights by Frank Sinatra in 1957, “Witchcraft”. Listen out for LaFaro’s incredible solo. It’s a virtuoso performance from a young bassist just getting into his stride, and what a stride it is! In fact LaFaro pretty much dominates this track, with some really brilliant playing and thoughtful phrases that just jump out at the listener. He goes with such ease from the bottom register of his instrument to very high flights of melodic invention at the top end of the ergister without for one moment losing the momentum of the piece, in fact propelling it along at a good pace, keeping it swinging all the way. A grand example of the art of the bass. The next track features Victor Young’s “When I Fall in Love” made into a hit in 1952 by Doris Day, with words by Edward Heyman. The song was written for the 1952 movie One Minute to Zero, in which it featured as an instumental. It has since become a very popular standard for jazz musicians from the likes of Miles Davis to Toots Thielemans. This trio takes it very slowly and ruminatively, a seemingly deliberate contrast to the “restless world like this is” of the lyrics. On the next track the trio gets back into swinging mood with Evans’ own song “Peri’s Scope.” with Evans creating a very interesting series of melodic variations in the right hand with strong comping in the left. And as high as Evans takes the melody, LaFaro is right there with him, never losing a beat or getting left behind for one second by the piano’s flights. Motian puts rhythmic emphases in exactly the right spots to keep the whole thing together. Next up is another popular jazz standard, from the calssic Walt Disney movie Snow White and the Seven Dwarves of 1937. 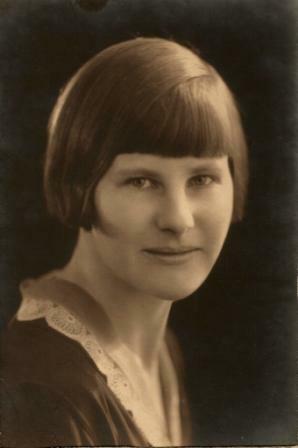 The song was written by Frank E. Churchill with lyrics by Larry Morey. One of the moist famous jazz recordings is the 1961 version by Miles on his eponymously-named album. The Evans trio show their melodic and rhythmic virtuosity in this number, which again features a glorious LaFaro solo. The last two tracks are of the Davis/Evans tune “Blue in Green“which Evans had recorded with Davis earlier in 1959. This tune has been the subject of speculation about who really wrote it for decades now. According to Ashley Kahn ( Kind of Blue, The Making of the Miles Davis Masterpiece, 2000) Evans told the story: “One day at Miles’s apartment, he wrote on some manuscript paper the symbols for G-minor and A-augmented. And he said, ‘What would you do with that?’ I didn’t really know, but I went home and wrote ‘Blue in Green. '” On Kind of Blue the song is attributed to Davis alone,while on Portrait it is attibuted to Davis/Evans. Is it that important who wrote it? It’s a wonderful tune with great moments for all three of the musicians on this album. Overall, this is an album worth savouring. It bears repeated listening. Indeed, listening to it over and over again as I have done over the past few days, it reveals new subtleties and nuances every time. There are many critics who dismiss this album, and indeed much of Evans’ playing, as little more than good quality cocktail lounge music. I would strongly disagree with that assessment. There is lyricism and harmony a-plenty, but the rhythmic and harmonic subtleties and the way the tracks are structured lift this album way above cocktail music. The interplay between the musicians is always a delight, and each time I have listened to this album I have found new delights. Jazz piano trios would never sound the same again, and pianists, bass players and drummers all can learn from the playing on this rich and deep album. 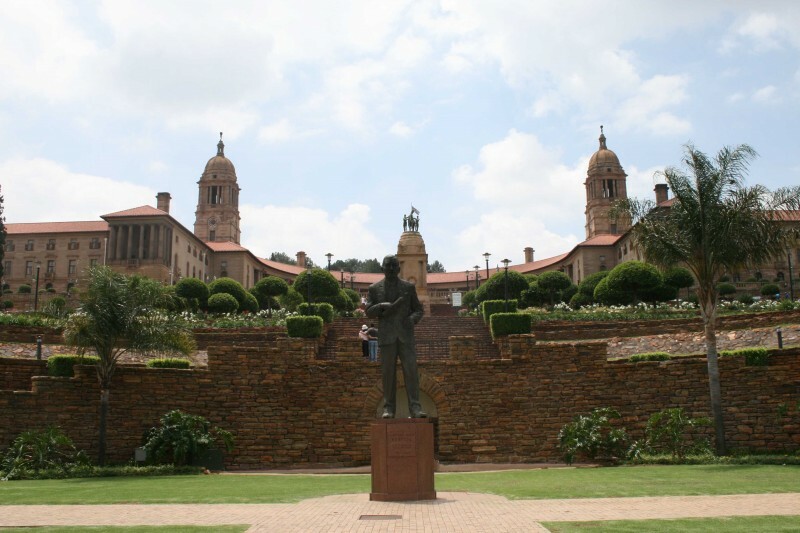 The Union Buildings from the foot of Meintjies Kop. 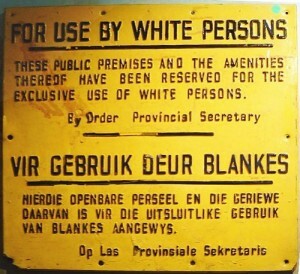 After the dreadful sufferings of the people of Southern Africa in the Anglo-Boer War of 1899 to 1902 there was widespread support for the unification of the four British colonies which had been involved in the conflict – the Cape Colony, Natal, the Orange River Colony (formerly the Orange Free State Republic) and the Transvaal Colony (formerly the Zuid Afrikaansche Republiek). 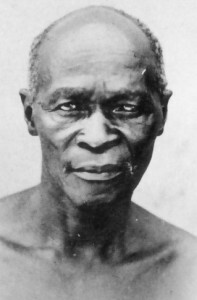 Movement towards unification was speeded up by the calling, mostly at Jan Smuts’s insistence, of the National Convention which sat from 1908 to 1910. 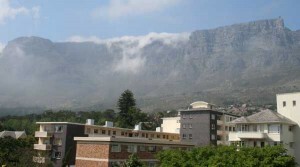 When it became clear that Unification was almost certain, the search for a suitable capital and an appropriate building to symbolize the unified nation, Pretoria was settled on as the administrative capital while Cape Town was given the legsilature of the new country. 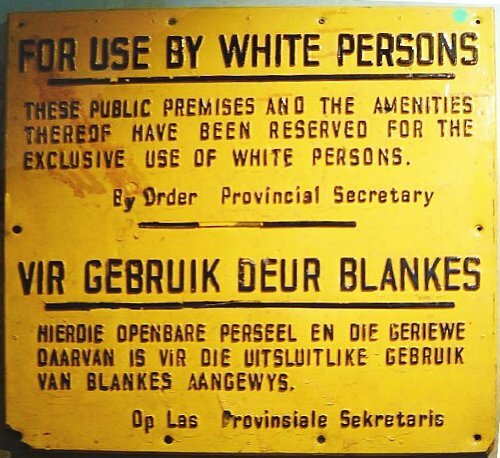 An architect who had made quite a name for himself in South Africa, Herbert (later Sir Herbert) Baker, was given the commission to design the building and a site on Pretoria’s Meintjies Kop was decided on. 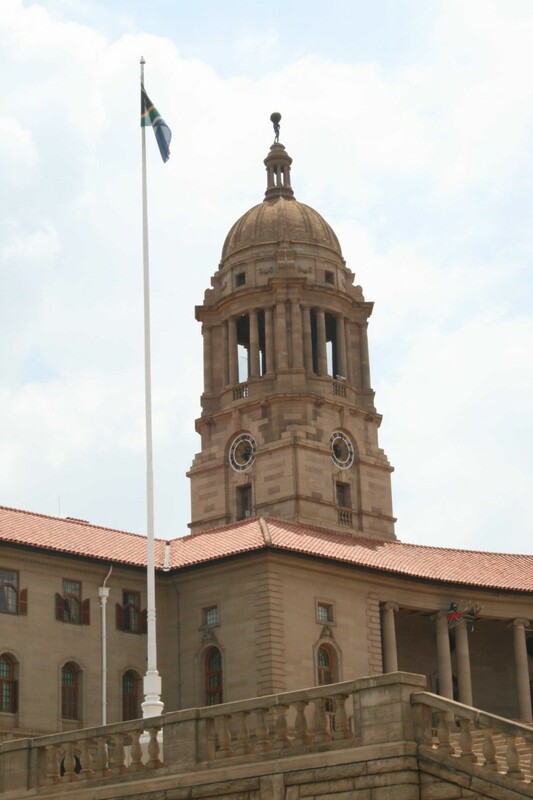 Looking up at the East Wing of the Union Buildings. 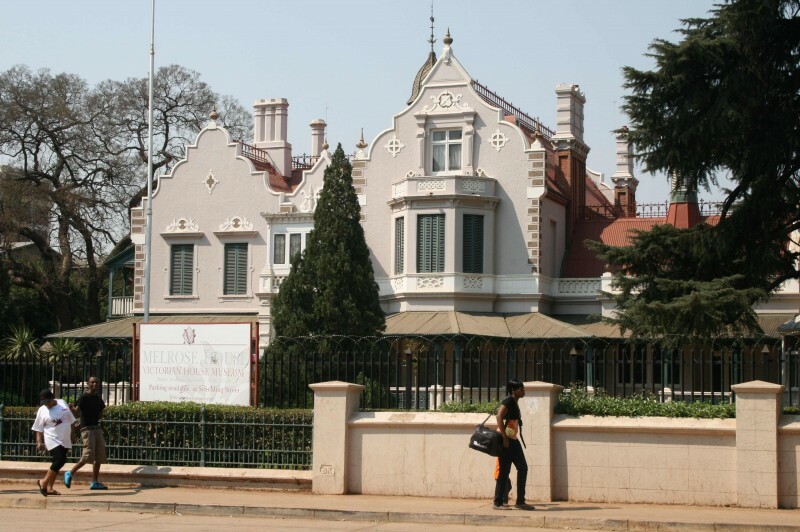 Baker, who would later go on to collaborate with Edwin Lutyens in designing the capital of India in New Delhi, was an almost exact contemporary of Frank Lloyd Wright, and, as Desirée Seymour-Picton wrote in her excellent book Historical Buildings in South Africa (Struikhof, 1989): “Wright was the innovator, Baker the apotheosis of an era, a dying era. Baker designed a building which, in its breadth and classical lines, would symbolise the reconciliation and inclusiveness (at least of the two white language groups, English and Afrikaans) that was the hope of the unifiers. 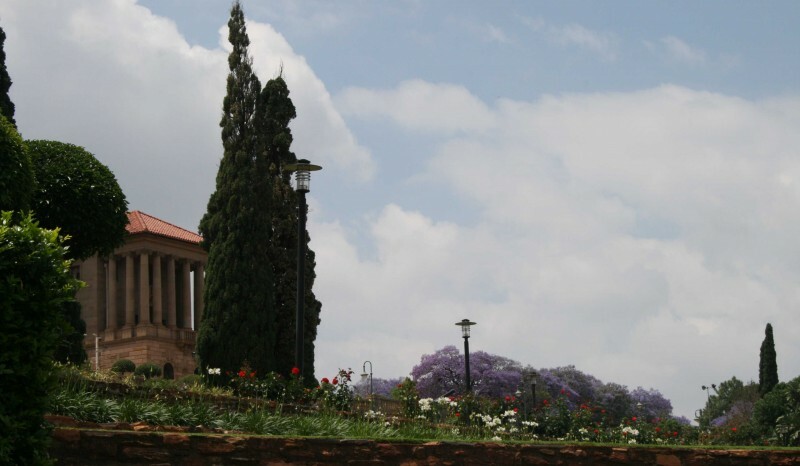 The Union Buildings occupy the lovely position on Meintjies Kop with grace and grandeur. The two domed towers on the two wings of the sweeping building represent the two language groups, while the curved colonade represents the unifying constitution which guaranteed a place for each language in the new country. The building process took three years and was completed by 1265 workers at a cost of £1,310,640. Because of the design each stone had to be individually dressed. 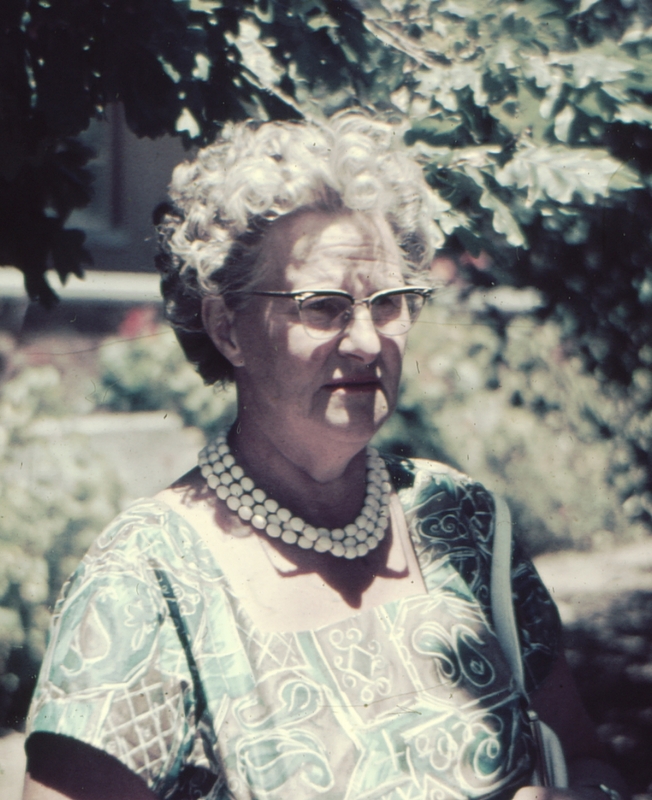 Mostly local materials were used and the roofing tiles were manufactured in Vereeniging. 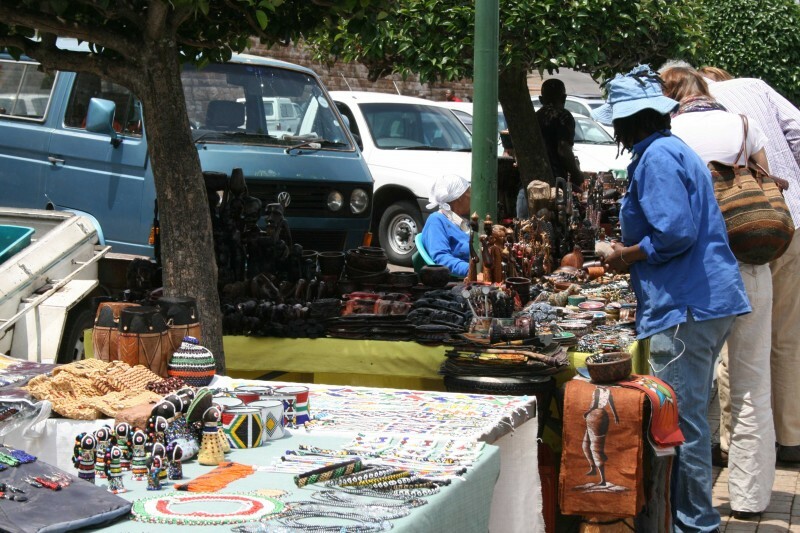 The Union Buildings are a popular tourist site and so the sidewalk salespeople do a roaring trade in front of them. 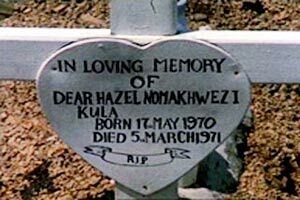 It was also highly significant and symbolic that when, after the 1994 elections which brought full dcemocracy to South Africa, the first president of the new South Africa, Nelson Rolihlahla Mandela, was inaugurated against the backdrop of that graceful colonade. Botanical gardens are always interesting and beautiful. 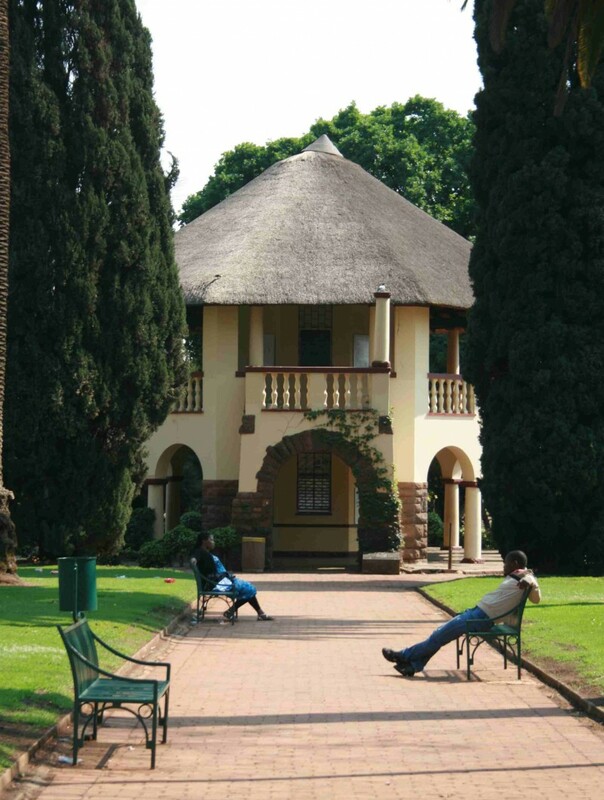 The National Botanical Gardens in Pretoria are no exception, and provide a lovely setting for concerts and picnics into the bargain! 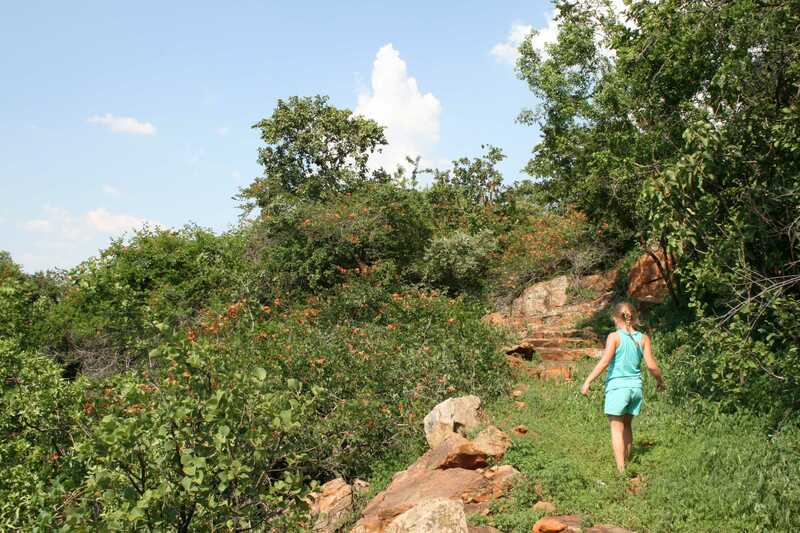 Just north of the Magaliesberg range which thrusts into Pretoria is the Wonderboom Nature Reserve, so called because of the huge 1000-year-old Ficus (wild fig) tree growing there. 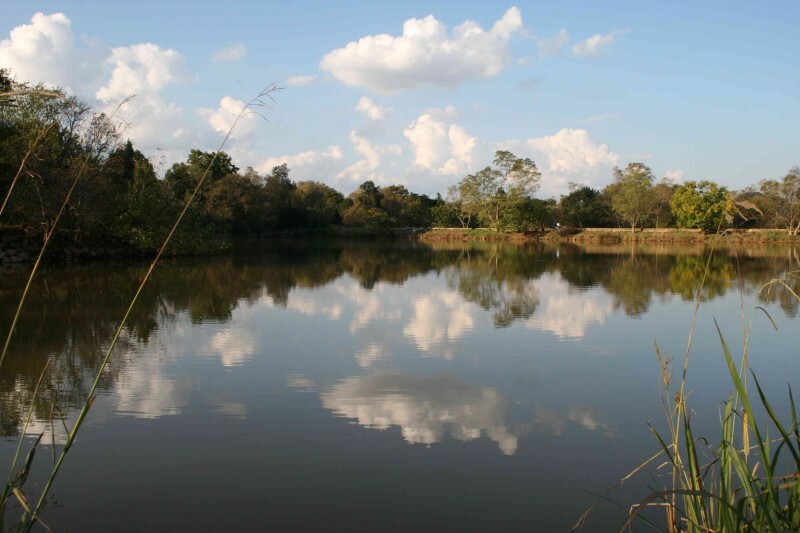 Surrounded by suburban homes and high-rise blocks of apartments in the eastern Pretoria suburb of Lynnwoood Glen lies a peaceful bird sanctuary and dam called Struben Dam. The kiosk in the garden seen from the main gate. 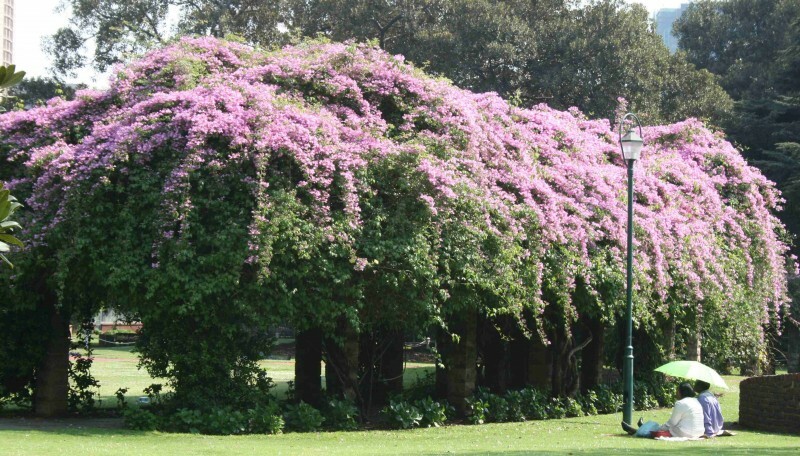 In the bustling centre of South Africa’s Capital City, Pretoria, is a beautiful botanical garden where people relax under colourful flowering trees surrounded by signs of the history of the city. 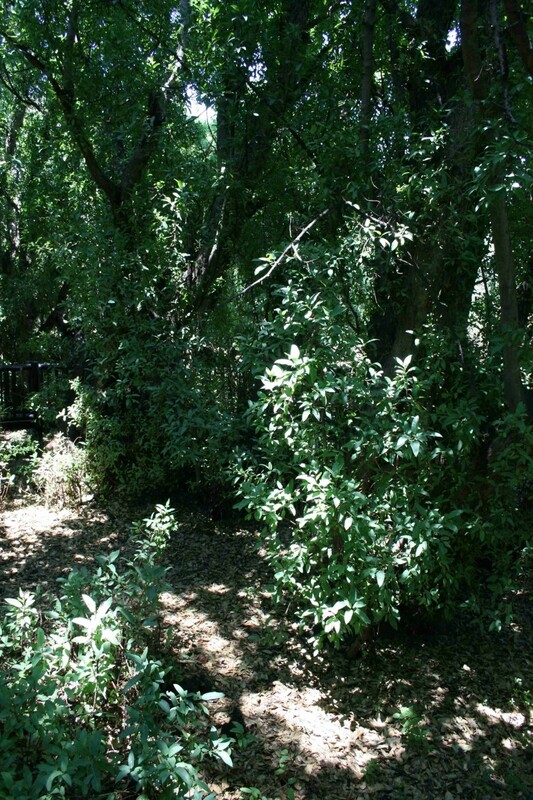 Burgers Park came about as a result of the dream of then-President of the Zuid Afrikaansche Republiek (ZAR) Thomas Francois Burgers (1834 – 1881) that a botanical garden be built in Pretoria. Burgers was unfortunately not see his dream realised as the garden was only laid out in 1892 due to financial constraints on the country. 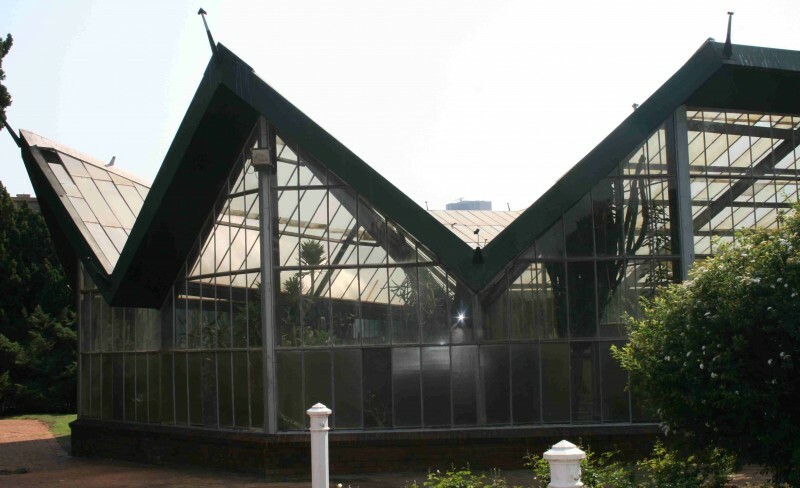 Today the park boasts a kiosk where light meals and refeshments can be bought and a modern florarium (built in 1974) housing plants from all over South Africa. 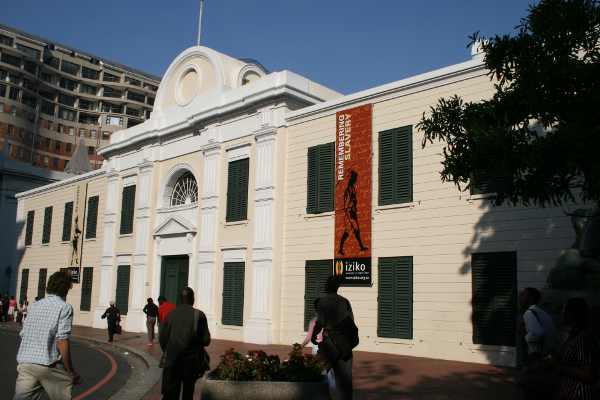 The entrance to the park is in Jacob Maré Street opposite the famous Melrose House where the Treaty of Vereeninging ending the Anglo-Boer War was signed in 1902. 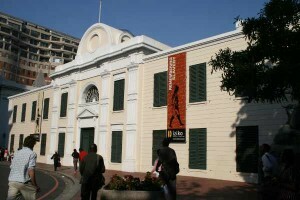 The eclectic architecture of historic Melrose House opposite the entrance to Burgers Park.